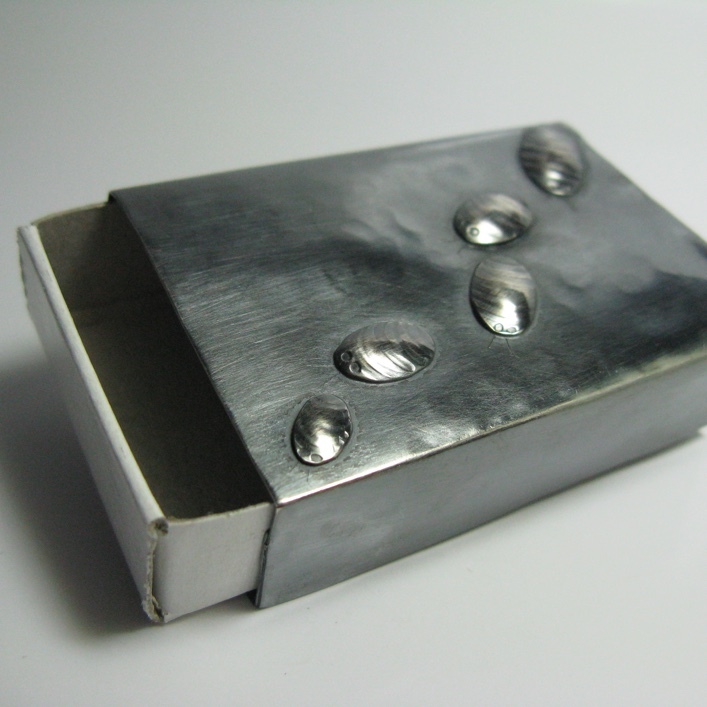 Oxidised silver Woodbug matchbox inspired by the hours spent in my Grandma’s garden. 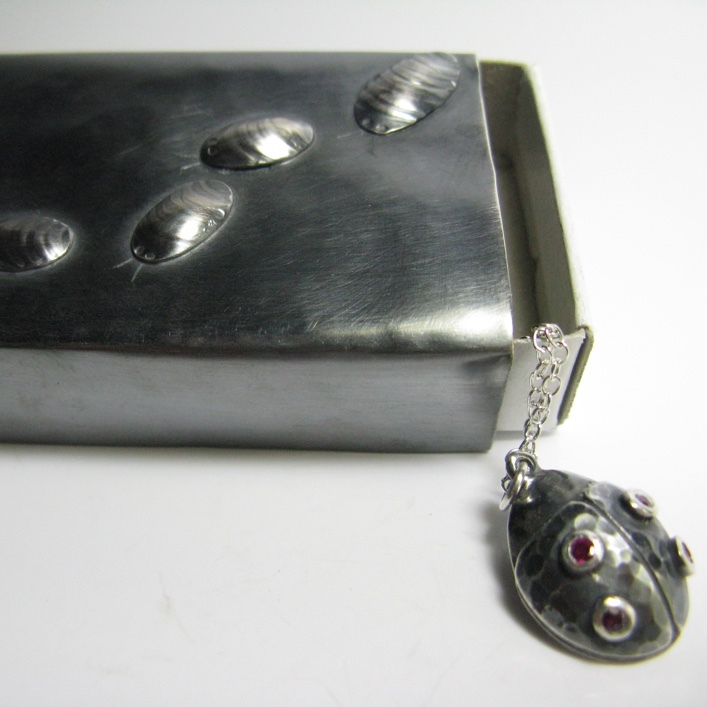 Housing its little Ladybird and Ruby pendant. 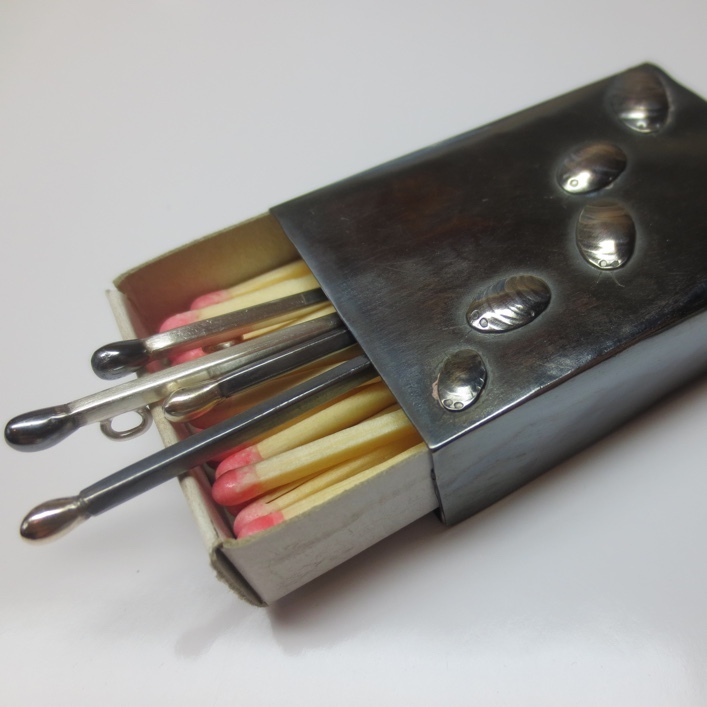 Housing 2 sets of Matchstick pendants.